Item # 310947 Stash Points: 3,495 (?) This is the number of points you get in The Zumiez Stash for purchasing this item. Stash points are redeemable for exclusive rewards only available to Zumiez Stash members. To redeem your points check out the rewards catalog on thestash.zumiez.com. 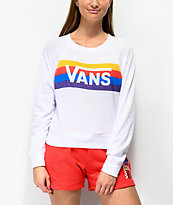 Achieve a sporty look that still represents your skate-inspired style with the Avenue Red French Terry Sweat Shorts from Vans. These red sweatshorts feature a relaxed fit and comfortable, French terry construction. 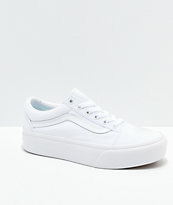 Multicolored Vans Off The Wall graphics are screen-printed down the left leg, while the elastic waistband features an adjustable drawstring for a custom and comfy fit. 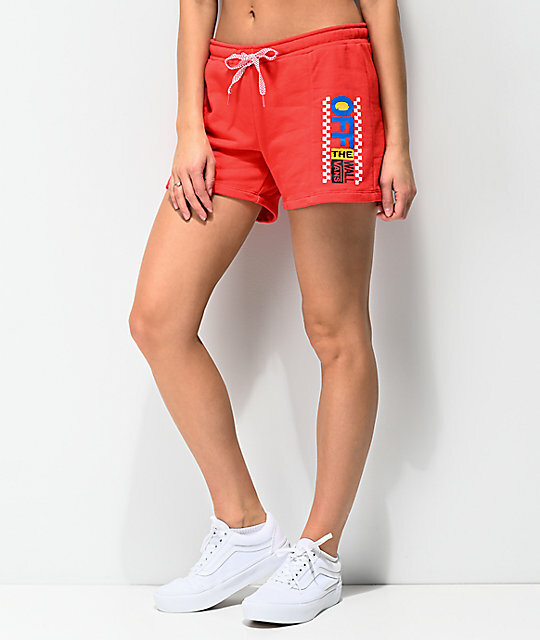 Avenue Red French Terry Sweat Shorts from Vans. Screen-printed logo graphics on side of left leg.